Isle of Wight Stargazers are being asked to count the number of stars they can see (with the naked eye) within the constellation of Orion. The national Star Count (clear skies permitting) will take place between Friday 8th February – Monday 18th February. Everyone who joins in will have a chance to win a fantastic telescope or one of ten copies of the Stargazers’ Almanac. 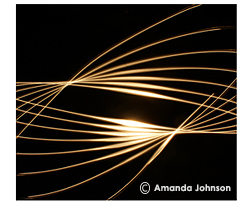 On Wednesday we had an introductory ‘painting with light’ session at Dimbola with 20+ taking part to learn the basics. Painting with light is a photographic technique that involves long exposures and the movement of light, using flashlights or other transient light sources. It is a fascinating technique and a fun way to get everyone involved without having to step out into the cold. Mike Thomas provided the basic theory to a somewhat bewildered group, and then as if by magic everyone got the bug and went around finding little dark spaces to practice in. 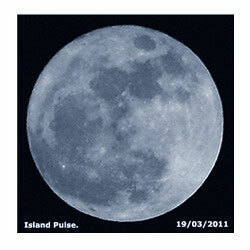 Tonight Isle of Wight star gazers may get to view a Blue Moon. This blue moon, and the second of two full moons within August, is a rare occurrence. Blue moons exist due to our calendar months being imperfectly synched to the lunar months. It takes 29.5 days for the moon to orbit Earth, during which sky watchers observe all of its phases. The blue moon is expected to reach its full phase at 9:58 a.m. 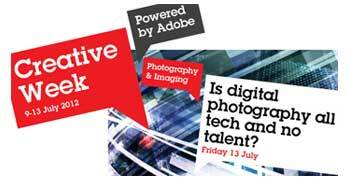 In July, Adobe will be staging a free online event. Billed as ‘Creative Week’ specific events will be broadcast live over five days from 9th-13th July and will involve key figures from the creative world. Before we start this review a special thanks to both Fujifilm and their PR company for the loan of the camera. Although there are already many reviews online we thought that a slightly different approach would be useful. As pretty much all of the technical aspects of the camera have been covered we have chosen to review this camera and all future equipment reviews purely from the perspective of the photographer when taking photographs. We have put together a small review team that may vary from time to time, with photographers from different backgrounds and hope that this will provide the reader with a better idea of whether this camera is for them. So let’s get this review rolling. 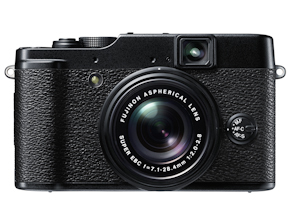 New for 2012 this could be something that photographers everywhere have been waiting for. Read on for full specifications and we would be pleased to hear your thoughts and comments. Featuring the new X-Trans CMOS sensor™ and an original FUJIFILM X-Mount and a brand new X lens mount, Hybrid Multi Viewfinder and three prime lenses.